Replace fixed legs or casters with battery powered Wheel Drive Units (WDU) and turn any work platform or monument into a self propelled, omnidirectional tool that can be positioned safely with a high level of accuracy. Units can be installed in synchronized sets to handle weights in excess of 200 tons. Tool positioned to plane body using sensors and scanners. Compensates for undulating floors and facilitates drive traction. 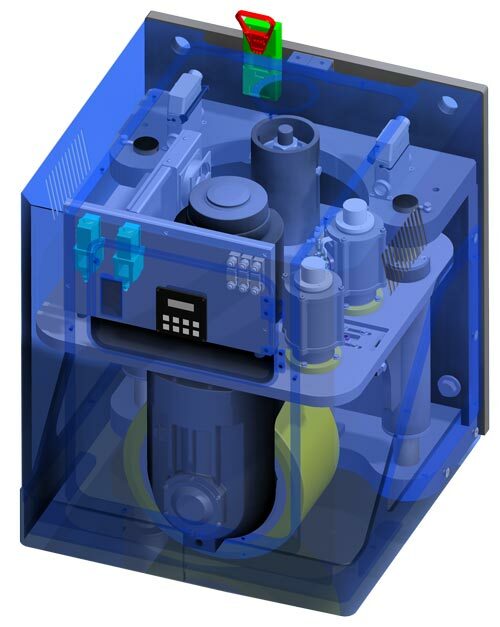 State of the art Lithium Iron Phosphate batteries power AC motors providing a reliable and maintenance free drive system with precise incremental speed control. The tremendous torque capabilities of the compact AC motors gives the WDU pod a drawbar pull force of 2,200 lbs. All machine functions are at the operator’s finger tips. The platform can “turn on the spot” or be steered in any direction, without castor whip, by means of the HBC wireless pendant controller. CANbus communication allows unlimited WDUs to be employed in a single workstand or fully synchronized over several workstands. Modular design allows for quick installation or replacement. 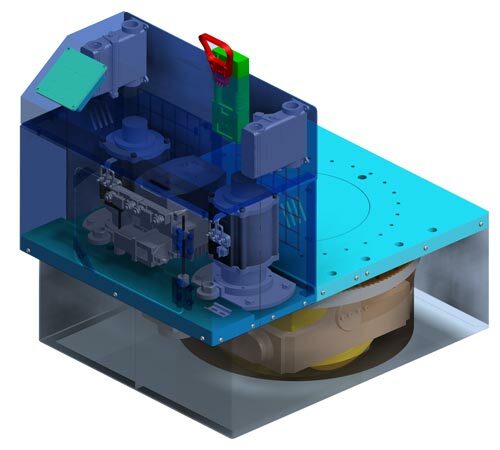 Scanners, sensors and guidance systems can provide positional accuracy to less than .25″. Travel speed is field adjustable via a user friendly touchscreen. Speed can also be increased depending on cycle time, load usage and energy consumption.